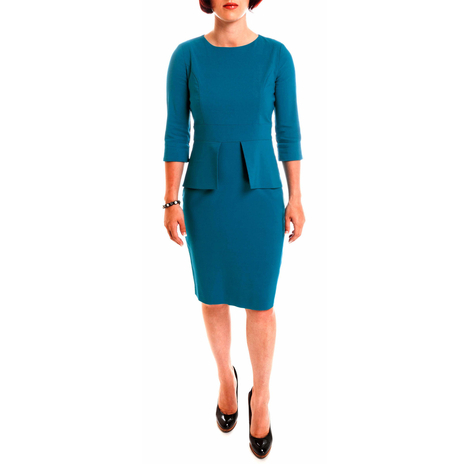 Sculpted knee length petite pencil dress with feminine, stiff peplum detail at front and back. Structured with shoulder pads and waistband to create the perfect hourglass silhouette, with ¾ length sleeves, concealed zip and inverted pleat at back. 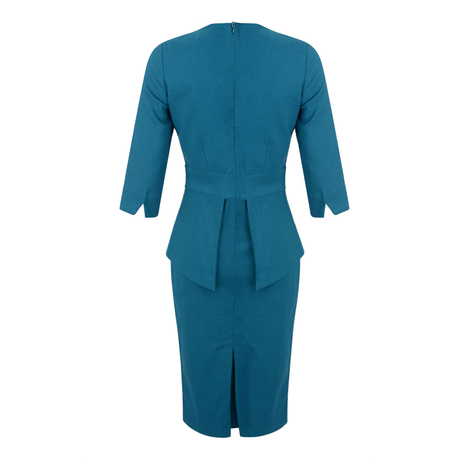 Add colour to your work wardrobe with this cool shade of teal. A bold statement dress that oozes femininity and glamour at work without the need to accessorise. 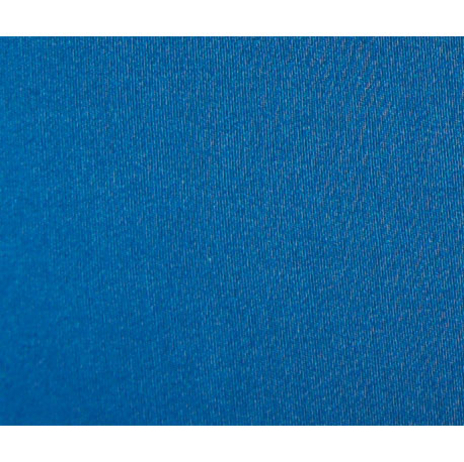 The fabric is light and versatile to wear throughout the year. Watch the video of Lucy Verasamy wearing this dress on ITV. To see other petite customers wearing this dress, click here. The Davina dress fits true to size and is close fitting but stretchy for comfort all day long. Our model is 5'3" and is wearing a size 8. Model's measurements are Bust 32C, Waist 27', Hips 36'. Petite dress length from the highest point of the shoulder to hemline is 92cm. COMMENTS : Very happy with this dress, bought size 10, it fits snugly but not too tight. The colour is versatile enough for summer, even, just a tad lighter than pictured, perfect! COMMENTS : I bought a size 6 which fit perfectly, true to the size chart. The fabric does crease though and is a little light to wear in winter months. The frill hides lumps and bumps very well, the design is flattering. COMMENTS : The color and the design are the most attractive characteristics of this dress for me. COMMENTS : I fell in love with this dress when I saw a speaker wearing it at a recent business conference. The colour is gorgeous. Very comfy as the fabric stretches well. Personally I don't think the dress creases much at all. This dress looks chic with minimal accessories so a tan leather shoulder bag and matching tan court shoes are all you need for work. Pair it with an animal print belt and matching print heels for a smart casual look.